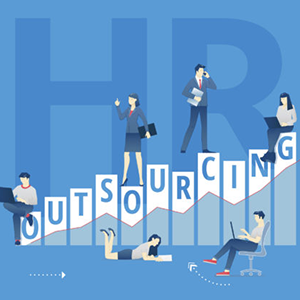 ProCTi offers its clients the opportunity to prioritize their main activity by using outsourced services based on the concept of “Business Process Solutions” (BPS). It provides all support activities, from accounting to financial and personnel administration. This range of solutions is fully integrated with ProCTi’s other business areas. Processing in different types of ERPs, such as Oracle, SAP and Totvs. Managerial reports and analyses to meet the needs of each client. Cash flow and bank control. ProCTi offers payroll staff and services that can help companies to improve the efficiency of traditionally complex and laborious tasks. Providing a strategic and technological perspective can help align a company’s practices and policies with the corporate vision, open new channels of communication, improve processes and manage costs. Outsourcing of financial, accounting, tax and payroll processes, by using an Oracle E-business suite, SAP Business One, SYNCHRO and ERP (Enterprise Resources Planning) system. Outsourcing of the tax area with the support of systems, tools, processes, background and personnel of ProCTi’s Outsourcing and Tax Consulting areas to provide the client with greater efficiency in processing tax compliance. ProCTi’s tax compliance methodology offers companies an efficient way to deal with tax obligation compliance and workload, and meet deadlines. A ProCTi tax software processing option integrated with the client’s ERP. The dynamism of the business and corporate environments, strict control of headcount, the need to rely on internal controls and the complexity of the current national tax system result in companies facing serious difficulties meeting internal and external needs, mainly with regard to seasonal needs. Loan Staff: allocation of professionals on a temporary basis for occasional needs, skilled in the accounting, tax, financial and human resources areas.